When God puts a dream in your heart, there will always be people that are jealous, people that try to discredit you, get you riled up. Don’t take the bait. That’s not a battle you have to fight. They are a distraction trying to get you off course, so you miss your purpose. Your assignment is too important to be distracted by jealous, small-minded people. John 16:33 says, “In this world you will have trouble. But take heart! I have overcome the world.” God never promised that life would be fair, but He did promise that if you will stay in faith, He will take what’s meant for your harm and use it to your advantage. Nothing that’s happened to you is a surprise to God. He will give you the strength, the power and the grace to go through it. We will always be battered in this life. Physical limitations. Cruel people. Spiritual battles. But God is with us. He promises never to abandon us. And He renews our spirits even during the struggles. We can keep going in this life and look with anticipation to the next. Thank You, Lord Jesus, for dying for me on the Cross. I recieve in the name of jesus my financial breakthrough. I receive it in Jesus name. Amen. Thank You Lord Jesus and thank you Prophet Lukau. God bless you. Hallelujah, I receive in the mighty name of Jesus. Amen and Amen. DIVINE FAVOUR….. MY LORD UPON ME. AMEEN AMEEN AND AMEEN PAPA…. BREAKTHROUGH IN THIS WEEK LORD JESUS CHRIST. Pastor Lukau and AMI, I am asking Almighty God for financial blessings. Own a 2001 Chevrolet cavalier, very old and encounter problems daily, need new vehicle but can’t afford to get one. For lack of job and money. I don’t know what to do. 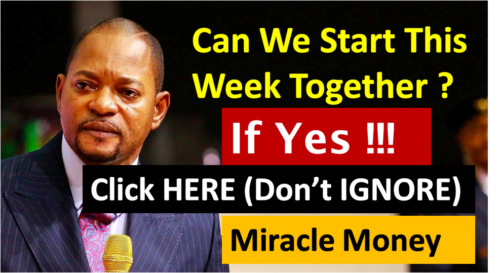 miracle money, financial breakthrough, amen. Lord Jesus answer my prayers and bless me with a better job and a marriage,I want to put satan on shame pls my God ,I want give a testimony in front of your servant.